Many people think Tesla made the first production electric sports car in 2008, with the Tesla Roadster. However, Venturi Automobiles had been shipping the Venturi Fetish to well endowed customers since 2006. Then then there was the Venturi Volage, an awesome tetra-motored electric supercar concept that should be available soon. The French automotive company’s latest electric experiment is ironically dubbed the Venturi America. 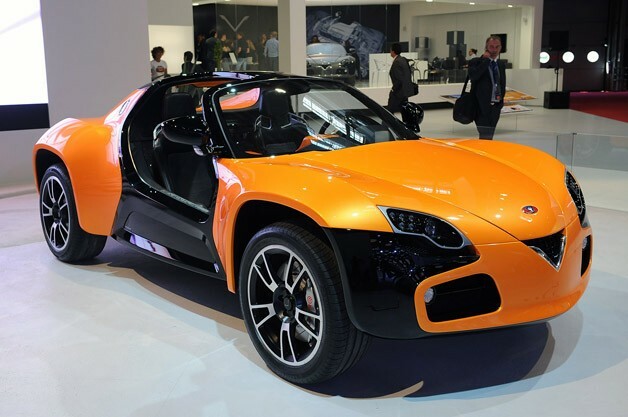 Ironic because, Venturi says is only making 100 of these door-less electric enduro cars, but despite its name, none of them are to be sold in the U.S.